After the opening of this charming little shop, called Comme A Lisbonne, it is now a real tidal wave of pasteis de nata that has spread into Paris . 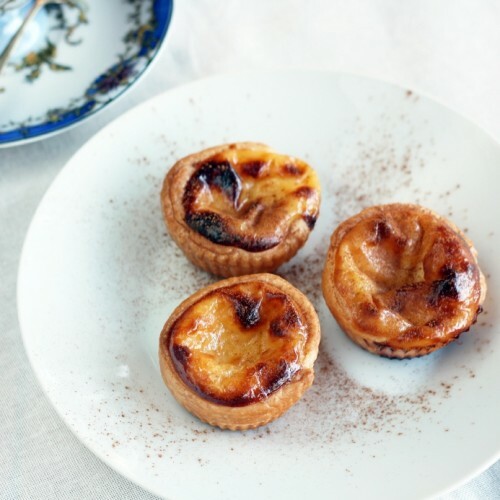 For those who have not yet had the chance to taste it, this delicious pastry is a Portuguese specialty similar to a “flan” or custard tart, usually eaten warm and sprinkled with cinnamon . Pasteleria Belem, in the heart of Batignolles, has already been there for many years and is a real piece of Portugal, which will transport you instantly to Lisbon! Everything is there: the blue and white tiles called azulejos, the smiling waiters and the counter full of neverending conversations in Portuguese and local pastries. People come here especially for authentic pasteis de nata, 1.60 € each, so creamy ! You can take them away or enjoy them on site at one of the tables. Close to the Porte Saint-Martin, this Portuguese grocery stores offers a wide selection of specialties from local producers. You can also enjoy the place for lunch, brunch or even an “apéro”. You should not go there just to enjoy delicious pasteis de nata, but also to dig up a bottle of vinho verde or why not, rebuild your stock of sardines. The manager, who has travelled all over Portugal, will happily tell you all about the products on offer, which she knows very well.